I can confirm that Minister John Halliagan has given a promise to investigate the situation of school transport from Johnstownbridge, Kilshanroe, and the wider area to Edenderry’s St Mary’s and Oakland schools. Following the fiasco which has left many without school transport last September I have this week met the Minister to lobby on behalf of parents who had been left driving or making other arrangements to get their children to school in Edenderry. If at all possible, this must be avoided for the upcoming academic year. I have spent the past five weeks lobbying the Minister of State John Halligan to get school bus places for constituents in Johnstownbridge, Kilshanroe, Kilmurray, Dunferith, Timahoe and other areas in North West Kildare. 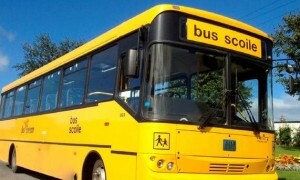 It is now the case there are a number of students who cannot get a school bus to Kilcock or Edenderry due to cuts imposed by the Minister’s Department. My clinics in the area have been full with concerned parents and my offices in Maynooth and Naas have been receiving calls about this matter. Despite the Ministers promises school bus places have been cut back right across the country. 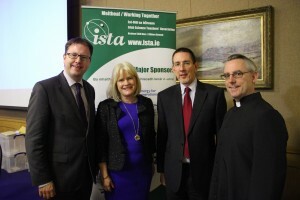 In the Dáil the Minister stated that no child would lose their place on school buses pending the outcome of a review in his Department. The Minister has broken another promise by the failure to set up a cross party committee that would meet at the end of July to try and help resolve outstanding problems with the school transport scheme. 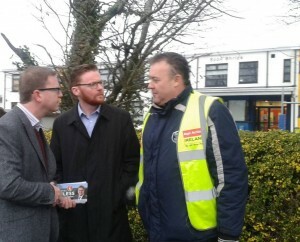 Meeting with parents outside the old boys school, Clane. I am delighted with today’s decision to grant permission for a new school consisting of 24 classrooms and ancillary accommodation. I have worked on this issue for some time as I understand how critical it is given the current accomodation is overcrowded and has outlived its purpose. I met in March with the Principal of St Patrick’s, Mr Pat Costello, to assist in progressing this project with Kildare County Council.